Alleluya band is in Italy fundraising for Comfort Community Hospital and the band will be back next week. When the members are back they will find out that we have a lot of talent just waiting for their turn to join the band. 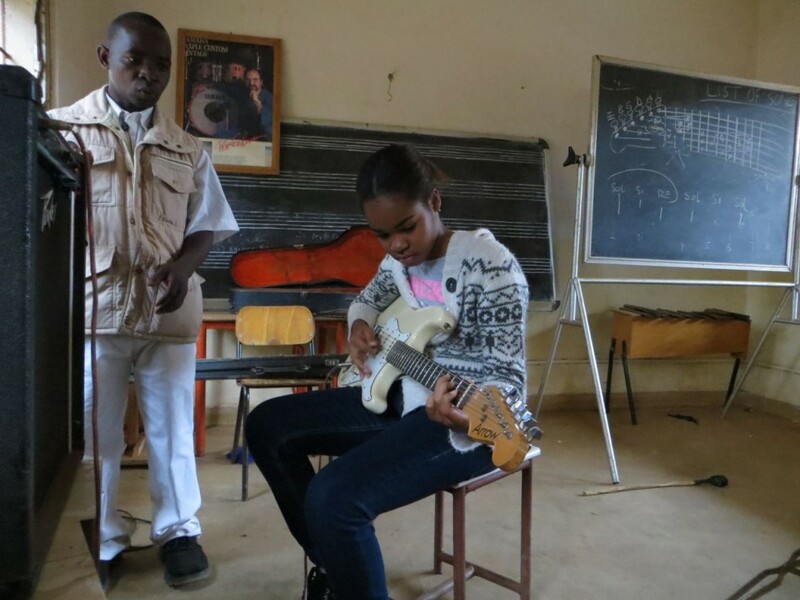 A visit to the Andiamo Music School offered us an opportunity to meet two young people learning how to play a guitar: Jackomino Murowa and Katija Jussab. Both are from Balaka. Jackomino is not new to Alleluya band members. He has travelled with the band abroad before. He did not join the band this year because he was writing Form IV examinations. He has been going out with the band as a dancer but next time he may go out as a guitarist! The surprise could be Katija Jussab. She is fifteen. She has just graduated from Bedia High School. She says her passion is music and a guitar in particular. Though 5 Seconds of Summer is her favourite music group, she will not hesitate to perform with Alleluya band whenever she is given a chance! 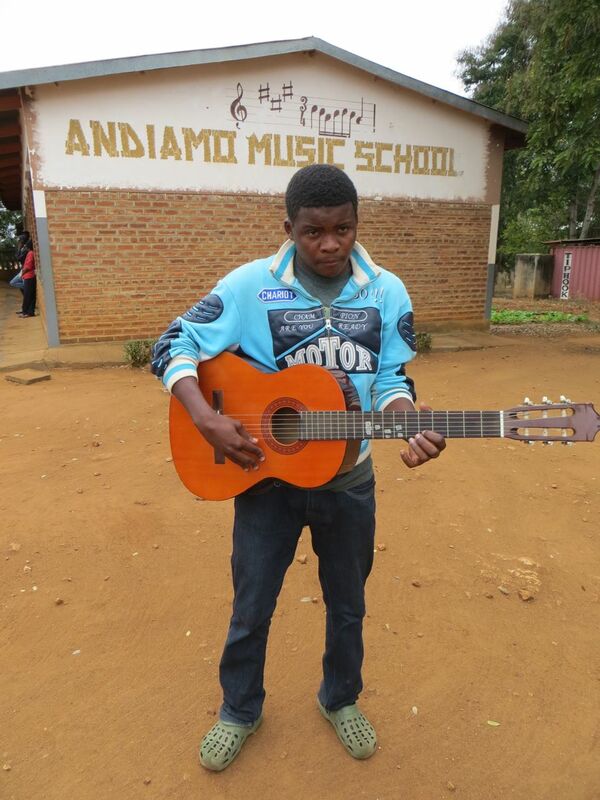 This entry was posted in Culture and Sport, News from Malawi and tagged Alleluya Band, Andiamo Music School, Jackomino Murowa, Katija Jussab. Bookmark the permalink.